To five-year-old Jack, Room is the world. It’s where he was born. It’s where he and Ma eat and sleep and play and learn. There are endless wonders that let loose Jack’s imagination: the snake under Bed that he constructs out of eggshells; the imaginary world projected through the TV; the coziness of Wardrobe, where Ma tucks him in safely at night, in case Old Nick comes. Room is home to Jack, but to Ma, it’s the prison where she’s been held since she was nineteen—for seven long years. Through her fierce love for her son, she has created a life for him in that eleven-by-eleven-foot space. But Jack’s curiosity is building alongside Ma’s own desperation, and she knows that Room cannot contain either indefinitely. 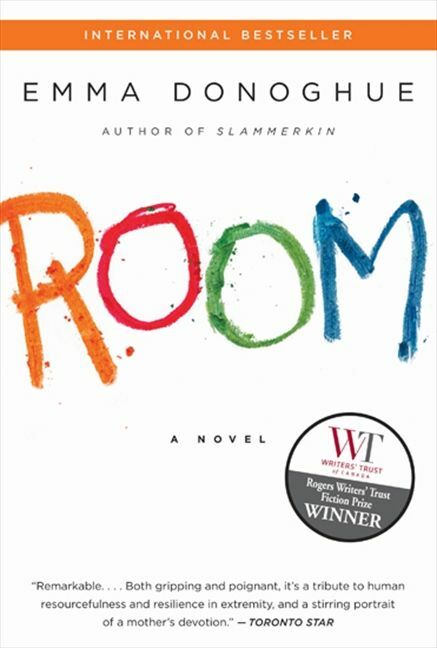 Told in the inventive, funny and poignant voice of Jack, Room is a celebration of resilience—and a powerful story of a mother and son whose love lets them survive the impossible.